Even the best cause marketing campaigns and employee volunteer programs don’t give your company the social mission necessary to distinguish it in the eyes of competitors, potential employees and investors. Still, these initiatives are terrific tools that I fully encourage you to use, which is why I invite experts here to teach them. However, if you have the best hand-crafted furniture and lighting, but your house lacks a floor, you’re not paying attention. A social mission is integrated in all elements of a business from marketing to resources to employee policies to shareholder dividends. I asked Salah Boukadoum, co-founder of Soap Hope, an online retailer of natural body care products, to talk to us about his radical business model and how it puts money directly in the hands of non-profits, funds micro-loans, provides low-cost marketing and gets him revved for work each day. His ideas and ambition for the Good Returns business model are fascinating and thus far proving to work. To download instead, right-click and save. Salah and his co-founder Craig Tiritilli hypothesize that a self-sustaining organization can have social good as part of its mission. To test this model of ‘Good Return,’ they created Soap Hope (formerly, they ran a successful B2B software firm in Dallas). At the end of each year, Soap Hope invests 100% of profits into partner organizations that provide micro-loans to women in poverty all over the world. One year later, they the investment is returned without interest. During this year, non-profits are able to use the capital to grow their infrastructure, expand services, etc. If Salah and Craig’s hypothesis is true, then every company of a similar size would earn their shareholders higher returns on capital if they operate under a Good Returns model than they would otherwise because 1) customers will choose a company with a social mission over one without, price and quality equal, and 2) the company can forge relationships with non-profits that aid in marketing and networking. Soap Hope does not donate profits. It’s a true for-profit company that pays dividends to shareholders. The difference is that they delay they payment by one year to invest the profits in a non-profit partner. Soap Hope’s marketing costs are proving to be substantially lower than a company without a social mission even though many of Soap Hope customers aren’t even aware of the company’s social mission the first or second time they purchase products. In the next five years, Salah and Craig aim to recruit 99 additional companies to the Good Returns model (which doesn’t mandate that these companies invest 100% of profits, but that their model is built around a social mission), to generate $1 million in micro-loans and to create a series of templates that guide other for- and non-profits in creating deep partnerships. 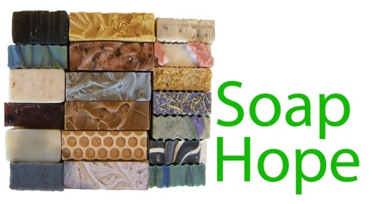 Since Soap Hope launched in December 2008, it’s grown 25% month over month. Salah expects profitability in year two. Salah goes deep into his beliefs about the power of business and Soap Hope’s business model. I really encourage you to listen to our conversation.